Several years ago, I spent a wintry December day wandering around the small town of Brest in the Brittany region of France. It was there that I first encountered a European Christmas Market. Several days later, I found myself in the cobblestoned stomping grounds of Joan of Arc herself, Orléans, and once again came across a quaint winter market in the middle of the town. 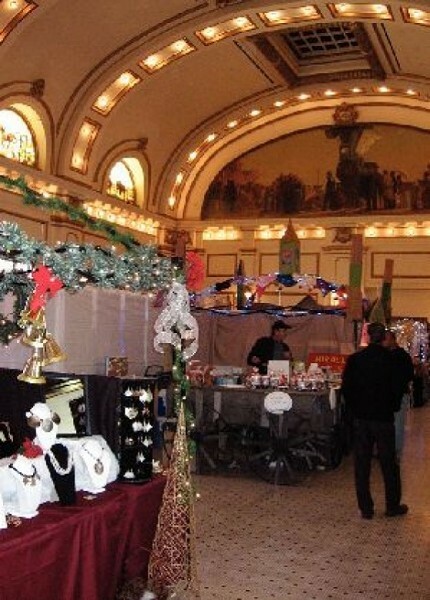 Peter Berrera, the man behind Utah’s own European-style Old World Christmas Market, got the idea while living in Germany. Now, after putting the market on in Ogden for a number of years, Berrera has teamed up with The Downtown Alliance to bring the village holiday fun to Salt Lake City. This year, the market takes place at the Union Pacific Depot to provide a mixed space in a highly trafficked area. Food vendors (such as Marcelo’s Restaurant, Vienna Bistro, etc.) will be outside on the plaza, while the local craft vendors will be inside the depot’s Grand Hall, providing a temporary reprieve from the cold for holiday shoppers. The concept is simple: Set up a bunch of wooden shacks, preferably somewhere outdoors in a town square, invite local vendors to ply wares ranging from cuisine to crafts, and augment the fun with entertainment and activities. The result: A unique shopping environment, far more pleasurable than staid chain stores, where you can pick up handmade, one-of-a-kind gifts for the ones you love.